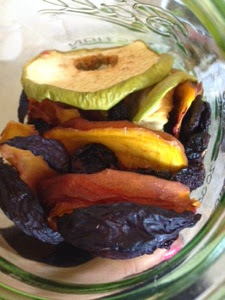 Being Gluten-Free Vegan: Dehydrated Fruit! 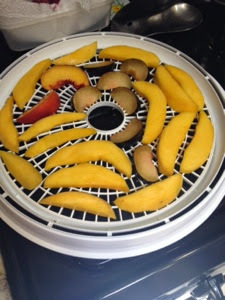 So I used all of the racks to make some dehydrated fruit and boy was that a bad idea! It took SO long and some fruits took much longer than they should have. 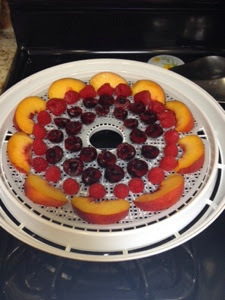 It was a lot of trial and error but it made my house smell really yummy. 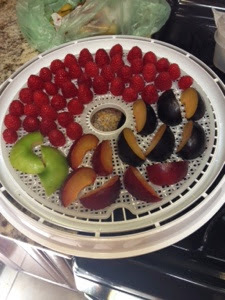 Each fruit had a different dry time so it took forever for them to finally be ready. 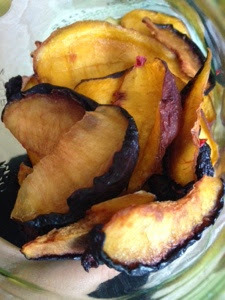 I used Plums, Peaches, Apples, Mango, Cherries, and Raspberries. All of them are pretty good. 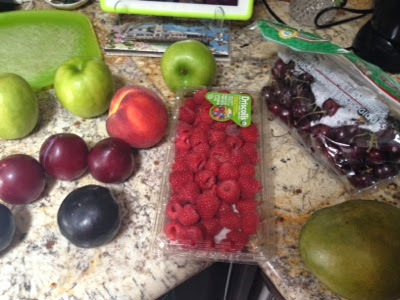 The only ones that were weird were the raspberries- they became sour and had a weird texture. I set it for 135F and I had it running for about 10-12 hours. 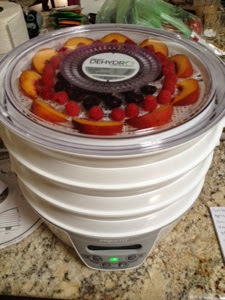 They also continued to lose moisture when the dehydrator was turned off. Give it about an hour or so.